Oct. 2, 2018 - The current generation of AI is a long way from science fiction. “We are not at HAL from 2001: A Space Odyssey, or Skynet from The Terminator, yet this is what we continue to imagine is not only possible but also available in our industry. This is simply not the case,” says Rory Armes, founder of Eight Solutions. Rory Armes will dive into the world of cheap AI, which encompasses the concept of predictive insights: surfacing up valuable, live information to the humans in the process. 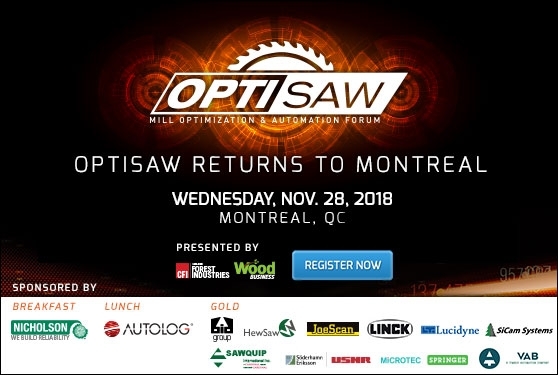 There is a massive opportunity in the forest industry to grab the concept of cheap AI right now and start to bring predictive insights into the key areas. Rory will explore the steps, and technology necessary to get you into the world of predictive insights.